Paperback version $15 plus postage of $3. Available from Amazon as an eBook. READ THE GREAT REVIEWS BELOW. So, 'Bold Journey'. A slow, but probably necessary beginning, steeped in the historical detail of a city I know well. I loved it and give it an A1. rating. As you say, it would make a great movie. I agree! I LOVED IT! When you pick up a Clancy Tucker book you can be rest assured you will not be disappointed. Bold Journey is no exception - yet another Clancy heart string tugger for sure. En route to Australia, aboard the Achille Lauro, children; Fausto AGNELLI forges a life long friendship with Caterina GINELLI. The two share so many great times & adventures together until one day their lives have to take an individual road, a road to their chosen careers. Fausto wants to be a journalist, whilst Caterina wants to pursue nursing. Little did they realise, that their careers would bring them together again & again, however not in the circumstances they would prefer. Years later they are both nominated for individual international awards for their respective work. Will they again be united, or not? 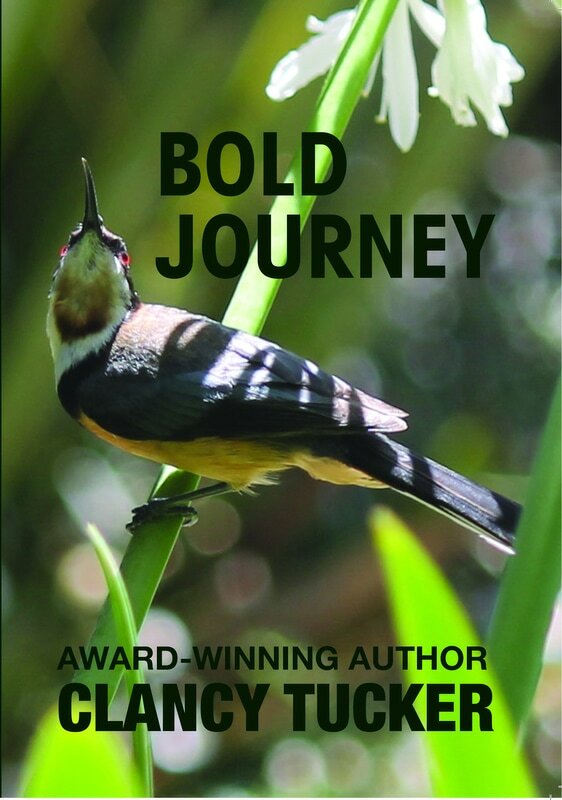 Bold Journey is another brilliant literary work by Australia's multi award-winning author - Clancy Tucker. Each of his books are different; yet each contains a ethical moral that will bring you to tears. I loved this book from beginning to end & I know you will to. I highly recommend Bold Journey, regardless of your age. Its a beautiful journey that will leave you wanting more - Cat & Fozzie's journey. I pray there is a sequel.